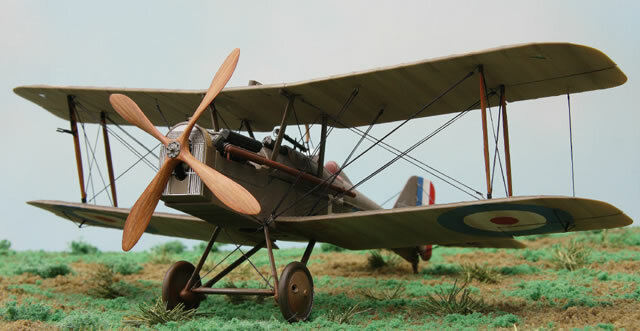 I’ve never built a bi-plane before. 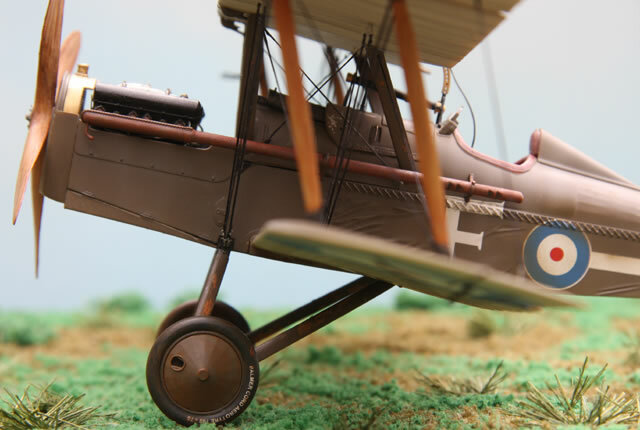 With all the talk going around about the quality of the Wingnut Wings products, and after reading a fair bit lately about the First World War and taking an interest in it, (and finding it all extremely fascinating), curiosity got the better of me. 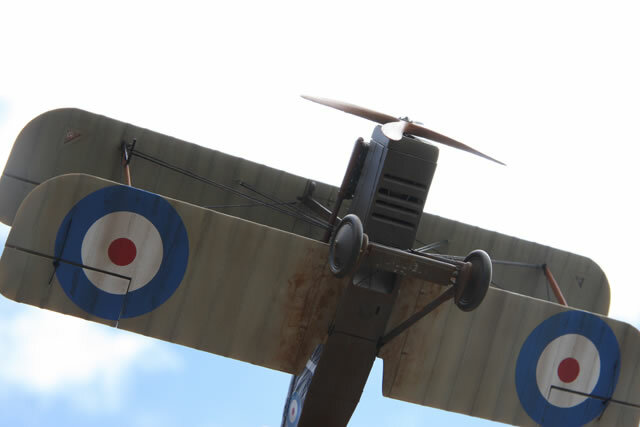 Wingnut Wings has taken an interesting approach to the engineering of the kit. 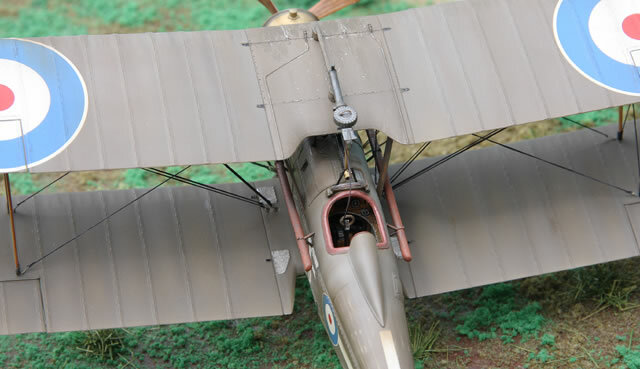 The way some of the parts go together struck me as a little unorthodox compared to other aircraft models. The result though seems to be good. 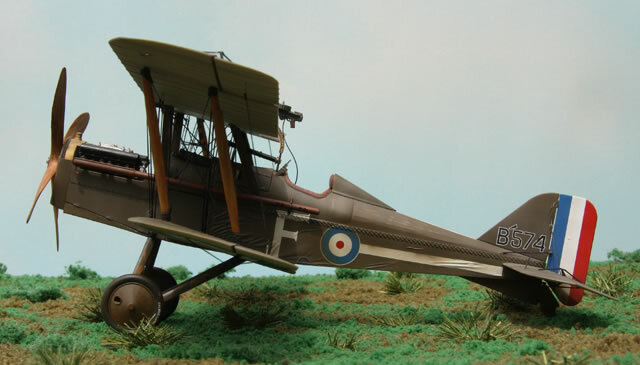 I’d heard so many stories regarding the fear of lining up the wings on bi-planes, and I guess I didn’t really know what I was doing, but there were no problems. I just did the job in the only way I thought how, and it was a piece of cake. The color instructions are nice, but at times I had a bit of trouble following them. I could put that down to inexperience with this new configuration. For example, when trying to attach the rudder pedal assembly to the floor, I couldn’t find the damn floor! I peered squint-eyed at the instructions for a long time, not even being able to find a part number for that bloody elusive floor, only to notice in the end, that it was already molded into the bottom wing! 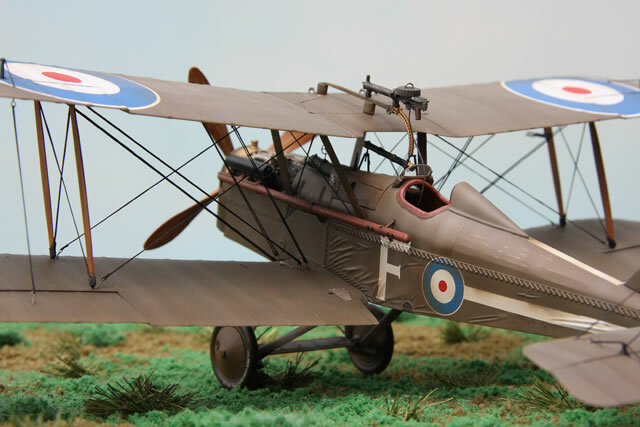 The taut or loose fuselage canvas option is nice, but I had to use the loose one, no question. It’s molded so nicely, and with the aid of Mr. Mark Softer, the decals flow into these faux folds like water. Adding a little dry brushing topped off the effect quite nicely. I’ve read about creating a wood effect often enough. I wasn’t happy about leaving them to dry overnight and risk dust settling though. What I did was use acrylic artist paints. They dry awfully quick but there’s still sufficient time to render them. For protection, they were airbrushed with Gunze flat clear, using metholated spirit as the thinner; that way it won’t bite into the work and ruin it. 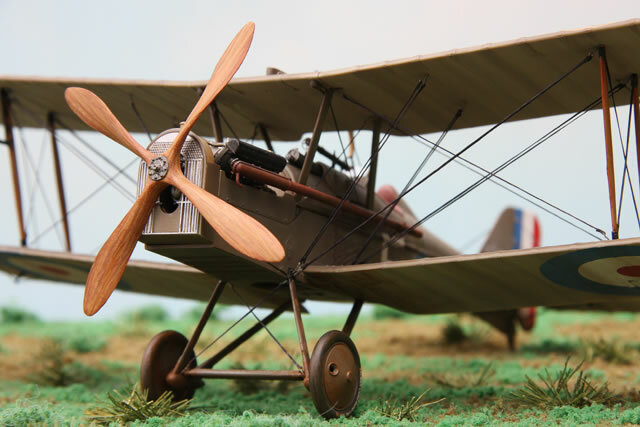 The wood effect on the propeller looks better than the photos suggest, in fact a few people asked if the model comes with wooden parts, which I naturally took as a compliment. It’s too bad you can’t see the interior properly, because the combination of wood and plain canvas really turned out well. I even rigged the rudder pedals and they look good. All that time for nothing! The trouble I did have was the same as described by Joel Rawson with his fine example featured here a short while ago. 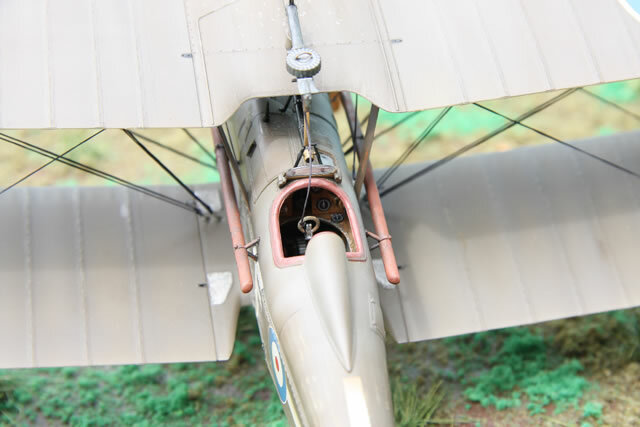 The engine appears to sit too high for the cowl to be put on as it should be. It’s either that, or neither of us know what we’re doing! 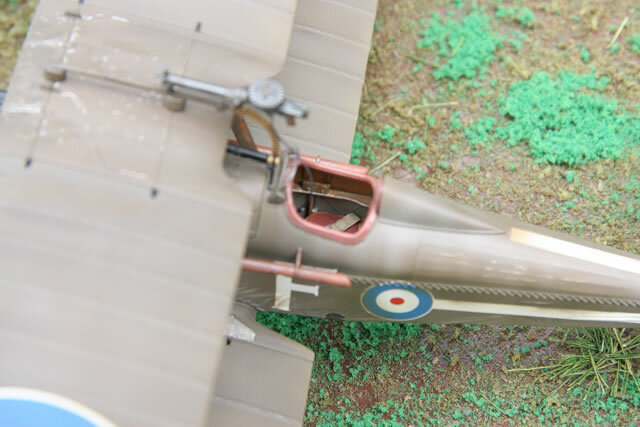 All I could do was leave the cowling off and model the plane with the engine exposed. I rigged the model using EZline, and it is as easy to use as the name suggests. I tried to add more detail to these by scratch building buckles out of fine wire. The result is mixed, sometimes I think they look okay, sometimes I feel like doing all that rigging again. Then you remember how long it took, and convince yourself that it looks fine! Overall it was an enjoyable experience and I’ll definitely do another one of their aircraft. Next time though, I may spend a bit more time on the scenery! It looks a bit…..well, I’ll let you guys come up with the appropriate adjectives!